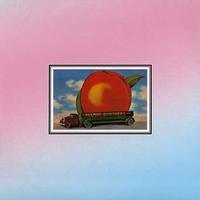 Released in 1972 as an ode to fallen brother Duane Allman, Eat A Peach is widely considered among the very best of the Allman Brothers’ vast output. The record is split between new-at-the-time studio recordings and classics recorded live from the Fillmore East sessions. There’s also a round of studio tracks recorded before Duane’s death. Classic cuts include "Ain’t Wastin’ Time No More," "Melissa," "One Way Out," "Trouble No More," "Blue Sky" and "Little Martha." This Hybrid SACD plays in both CD and SACD players, as well as all SACD-compatible DVD players. Makes me want the rest of their catalog in DSD. I am upsampling to DSD 256 and it is like being there on stage. The clarity is superb. The Allman Brothers have always been one of my fav bands. i wish they would release some of there other stuff on DSD. buy this album and turn up the volume!! you have never heard Eat A Peach sound so good as this.